More realistic crowds, a more personal eSports experience? Siliconera spotted two new filings relating to Sony's virtual reality headset which could point to the sort of experiences the company is planning for the future. The pair were filed in 2017 and 2018 respectively, suggesting that (if they've been pursued by Sony) they could soon bear fruit. It's an interesting idea – especially in the context of the rise of eSports – and could make for not only more interesting crowds, but make the often-solitary feeling VR experience more communal. 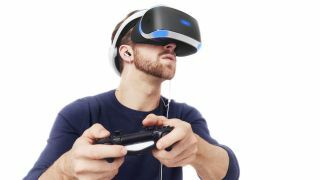 Here's hoping Sony doesn't apply it to something like a VR Grand Theft Auto though – we're not sure we much fancy seeing our digital avatars mowed down by a maniac.